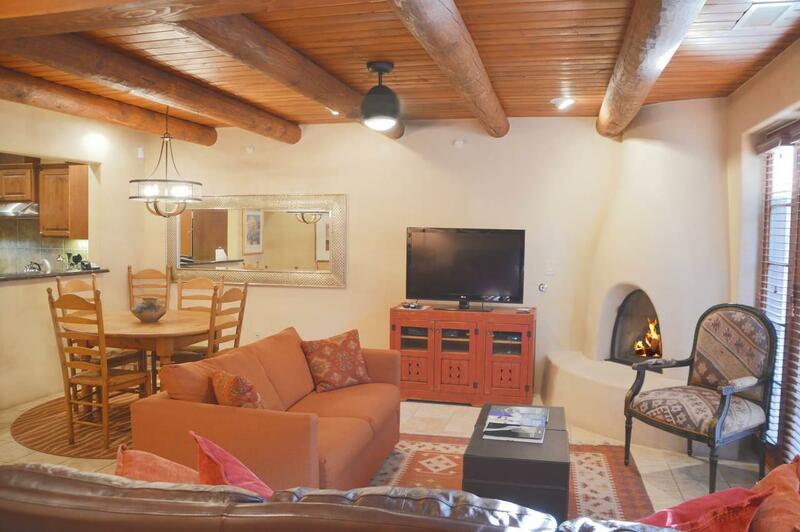 This luxury two bedroom, two bath condominium is located in downtown Santa Fe only three blocks from the Plaza. 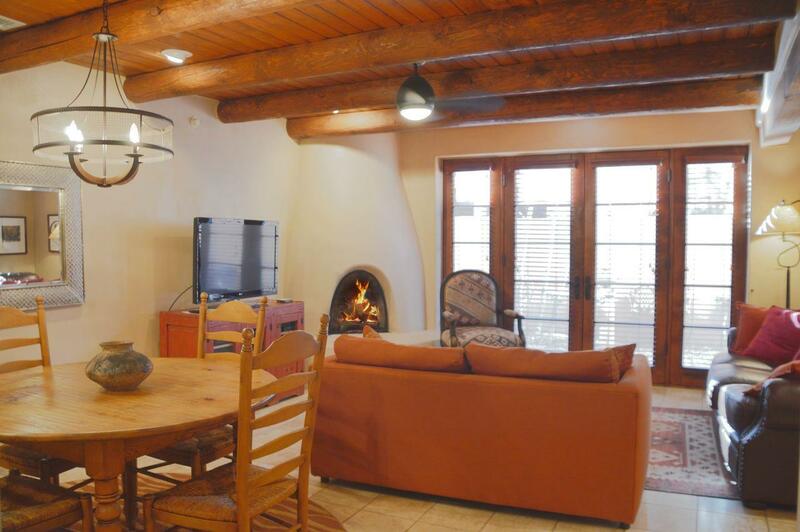 The home features a living room with a gas kiva fire place with a bonco seat, an open concept kitchen perfect for preparing any meal, and a dining room seating six and a private garden/patio area. This ground floor condo has high end finishes throughout, including travertine floors, granite countertops, stainless steel appliances, and rich cabinetry. The parking garage is gated with one assigned parking spot, ample guest spaces and easy access. 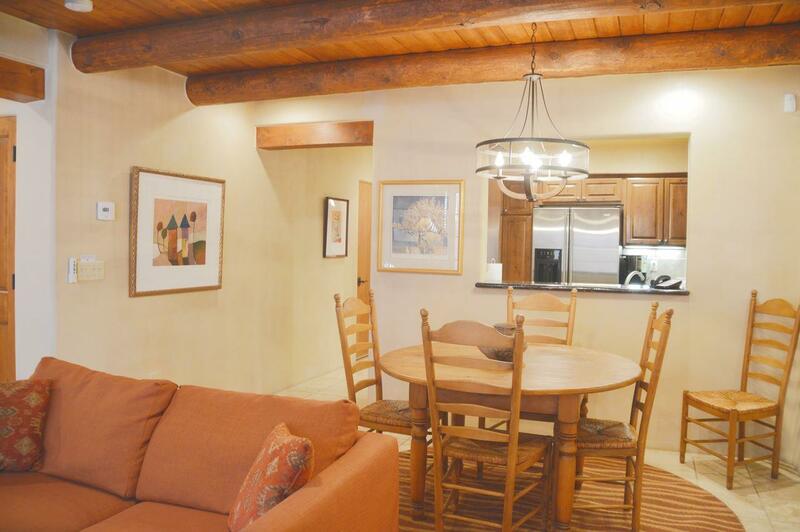 El Corazon de Santa Fe condominiums are in the heart of Santa Fe providing you with the most convenient access to fine dining, museums, galleries, shopping, and theaters. It is only a 20 minute drive to the Ski Basin. 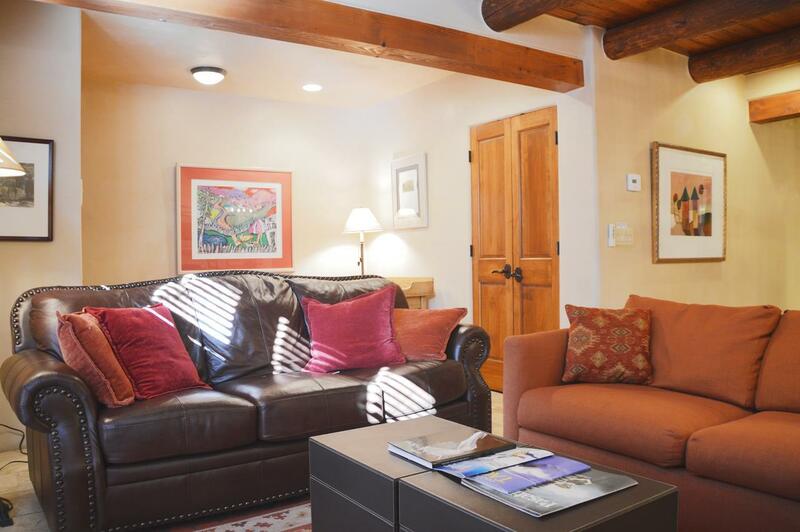 Listing provided courtesy of Lynn Zeck of Casas De Santa Fe. © 2019 Santa Fe Association of REALTORS®, Inc. MLS. All Rights Reserved.